These are my thoughts after a full 12-months driving my first Audi, a 2017 (B9) S4. Three litres of turbocharged V6 produces 354bhp through an eight speed gearbox and on to Audi’s generation V Quattro permanent asymmetric four wheel drive. Before I ordered the car I pulled out the spec sheet and noticed that the standard options were few and far between, no folding wing mirrors, no easy-entry, no reversing camera. It even cost £645 +VAT for a different colour to the excitingly named but dreadfully dull solid black or white options. So I ended up paying for a different colour (Daytona Grey), Virtual Dashboard and the Bang & Olufsen audio system. 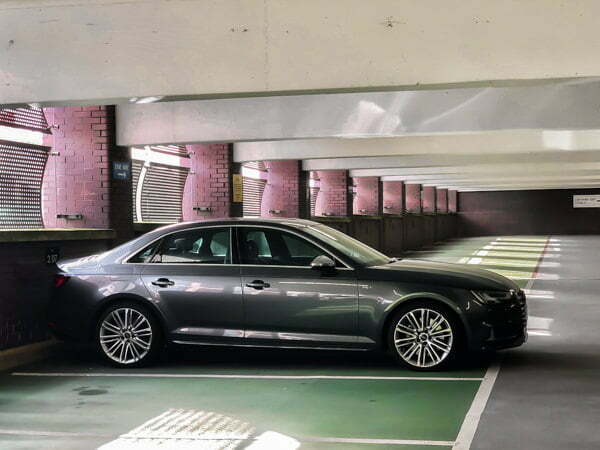 There was quite a network of companies involved in the supply of the car; at the front end of the deal were Select Car Leasing who obtained the car from Slough Audi and it would be prepared and delivered by BCA (British Car Auctions). I had contact with all three and words of encouragement were spoken by David Martinez at Slough Audi who told me on the phone that the car would be delivered, due to the distance of around 280 miles, on a trailer. “This is great!” I thought. So insurance was arranged and some work appointments were reshuffled to accommodate delivery on a damp Wednesday in September 2017. However I got a call from BCA the night before to say that their pre-delivery check had discovered a rubber seal on the rear passenger window wasn’t fitting correctly, it was only a relatively minor issue but meant that delivery was delayed by a day which was only a little inconvenient for me but besides, I’m getting a new car delivered, and that’s exciting! So the next day arrived and so did the car. Given the fact that I had been told boy the dealer that it would be delivered on the back of a trailer I was disappointed that it was driven up the motorway (nearly 300 miles). This aside I examined the car and found that the culpable window seal still wasn’t perfect as it didn’t sit correctly against the glass. A phone call was made to a lady at BCA and she promised they would pay for the repair if I accepted the delivery but it meant that it would have to be returned to the dealer for repairs. I was further promised that they would arrange for a low loader to retrieve the car to the dealer, so I accepted the delivery. I gave the delivery driver a ride to the nearest station and the car was finally in my possession. The car was booked in to the nearest dealer, Carlisle Audi as soon as possible (it’s a 2 hour round trip) but they had no knowledge of sending a low-loader as “it’s not something we would normally do”. So on 25th November I drove the car there myself. When I returned to the dealer the following day the mechanic told me “There’s nothing wrong with it” but they had mistakenly been told to replace a plastic trim part instead of the rubber sealing strip so the correct part would have to be re-ordered and I would need to return the car again. 22 days went by and I’d still not heard anything so on the 18th December so I called them myself and managed to book the car in but the earliest appointment was 3rd January. This time, 97 days after taking collection of the car, the rubber seal was replaced. The Bang & Olufsen audio system produced bad resonation in several panels (the main ones being the centre dashboard area, front passenger speaker and rear parcel shelf). Although the dealer did lessen the resonance by inserting foam strips into gaps between the body and panels the issue didn’t completely disappear and would still be present although to a lesser degree. The drivers’ Lumbar support is meant to deflate when the car is turned off and re-inflate when the car is re-started – a feature called ‘easy access’. However the seats would only re-inflate immediately now and again, most other times it could take anywhere from a few minutes to over an hour later which was a little disconcerting. The dealer didn’t find anything wrong and suggested the inflating seat feature could be deactivated altogether. The MMI system wouldn’t connect to the cellular network and so features like traffic updates and the Google Earth Satellite view were not available. A trip to the dealer for an update resolved it. The electronic handbook wasn’t available on the MMI system although this was also corrected by the dealer with an update. I asked the dealer about excessively long gaps between MP3 tracks but they suggested that this was an issue with the files themselves. On other audio systems, including other car systems, I’ve not heard it be quite as lengthy. Living with the car has turned up another couple of small ‘gremlins’ which haven’t been explained so far, most worryingly the alarm has been triggered on at least two occasions for reasons I’ve not discovered. I checked all the windows, doors, boot and bonnet, the car hadn’t been knocked and I hadn’t found anything inside which may have caused it. The dealer suggested it could be something “in or near” the vehicle and to monitor it to see if it gets worse. Thankfully it hasn’t got worse but the doubt has been instilled in my mind. Another concern was when the Audi MMI Smartphone App reported, while I was abroad, that a window was open. I’d parked the car at a hotel for two weeks, thoroughly checking it before leaving. Trying to call the UK while on a boat off the coast of Italy was difficult, only to find to my relief that the window wasn’t open at all. Come to think of it there have been other niggles with the MMI where for example I’ve had difficulty connecting to streaming services (I’ve actually given up now) which some other manufacturers, such as BMW, manage effortlessly. I constantly get little connectivity niggles too, like when the car just plain refuses to talk to the network, or my phone, whichever it is doesn’t make any difference to me – I just want it to work. The worst thing that I’ve experienced so far, which I’ve never experienced in any other car, is full-on emergency braking without warning. This is called ‘Audi Pre sense’ but on a few occasions it falsely read the situation and has either warned me or suddenly applied braking intervention. Two such instances stick in my mind, one was where my wife and In-Laws were passengers and the car misread that I was heading straight for cyclists travelling in the opposite direction on a slight bend. The other instance was again with my wife as a passenger and the car detected two pedestrians (who were safely on the pavement) but again the car saw them in front of me on a slight bend. Both times the car applied full-on and sudden emergency braking force. Apart from being massively disconcerting when it happens without any form of warning, it’s highly dangerous when in a flow of traffic. On these occasions it only ended up with a dose of adrenaline and a lot of swearing from me but really upset my wife to the point she actually doesn’t like to go anywhere in the car now and she flatly refuses to drive it. I came to the Audi S4 straight from a new C Class Mercedes. As this is an equivalent high-end German brand I often find myself comparing them directly. So let’s talk about some positive things. The 8-speed auto gearbox in the Audi is much better than the 7 speed auto in the Merc, smooth and lightning fast on upshifts, the throttle blips automatically on downshifts, it really suits the car. Although it’s still not quite perfect – slow corners for example catch it out; when in ‘Drive’, even when using Dynamic mode, the gearbox wants to be in as low gear as possible so when dropping speed for a slow corner it tries to take the corner in 3rd gear but then accelerating out of the corner it kicks down to 2nd. I also don’t like how gears are held longer on inclines, I find this unnecessary and repeatedly find myself using the manual override. I’ve owned a V6 sports car in the days before stringent emissions regulations when engines felt a little more raw, but Audi manage to get some nice power and pleasing noise out of this engine while maintaining reasonable fuel economy (I’ve averaged exactly 24.98mpg over a full 12 month period). The exhaust note is nice with a subtle crackly burble on over-run, I think the optional Sports Exhaust would be a good option to have as I’ve always been left wanting a touch more from the always present but fairly restrained growl. The engine has a smooth torque curve with power coming effortlessly very early in the rev range, although turbo lag is still evident. A reassuring hiss of compressed air is audible when on full throttle. But I can’t help feeling that the potential of the engine is really being held back, likely to keep it strictly in line with the Audi model range – the RS4 sits above this car and it just wouldn’t do to have a fire-breathing V6 performing and sounding too similar to its bigger brother. It actually feels inhibited sometimes and the engine just doesn’t give the impression of best performance through the lower gears, I’m certain that would improve hugely with an aftermarket remap and changes to the exhaust and induction system. The ride is nice and stiff, although while ‘making progress’ over meandering roads in Scotland and Cumbria I have been left wanting for slightly better damping but that’s probably a compromise for ride quality. The steering is precise and fast enough for a heavy saloon car and I haven’t managed to fade the brakes even after several miles of very feisty road driving. However this probably contributed to a full set of tyres being required after only 9,000 miles. Inside now and the Super Sports Seats are great – really high quality quilted leather with embossed S4 logos and red stitching really look the part. They’re very comfortable too with heating, adjustable lumbar and side-bolster supports, and a massage function (which admittedly is a little ‘meh’, the cooling function would have been far better). The leather and aluminium gear selector on the centre console is Audi’s newer type which is smaller and more ‘square’ than previous models. This looks very modern and feels really good in the hand, minimal movement is required to select the drive mode and it’s actually really intuitive. It’s just right. While on the interior functions there are some other neat features. A residual heat function on the climate control will keep you warm with the engine turned off. The switches for the radio stations and climate control are touch-sensitive before you press them fully which smacks of high-end switch gear. The steering wheel buttons provide a good degree of tactile feedback which isn’t over the top, I didn’t like them at first but they quickly grew on me – and that flat bottomed sports steering wheel feels great. However the programmable button on the steering wheel does occasionally forget what it should be doing which implies a bug somewhere in the operating software, the same problem actually that exists elsewhere in the range. The Virtual Dashboard is lovely. When displaying the full screen map it looks very impressive especially with the Google satellite view enabled – it’s actually quite handy because in unfamiliar city driving I’ve found a very useful combination of the centre display showing a north-up orientated 2D map and the instrument cluster showing a closer 3D view. I don’t know why the Virtual Dash isn’t a standard feature on every single car these days. I’m guessing it’s a money thing because they’re raking it in with options like this. Although my car doesn’t have the optional interior lighting pack the lighting is really well thought out with features on the doors panels and centre console picked out with subtle illumination – on a par with the Merc. There are some great features such as the four ring emblem which is beamed down to the pavement from the front doors and the way the interior is illuminated in the area where you open a door at night. Although the interior is very smart, clean and well finished it is also very … functional and squarely on the subtle side. The dashboard in the C Class Mercedes did look much prettier and felt more luxurious. But the boot is huge and goes back a long way so it’s easy to get a couple of large cases in there. Though I had to buy my own cargo net and fit a ‘curry hook’ as they weren’t supplied. Would I have another fast Audi? Well, the performance of the car is definitely a positive but the whole delivery experience, broken promises, faults and build quality issues have really left a sour taste. I’ve seen some other brands go just that little bit further in terms of functionality and finish so I’m not sure what car I’ll get next time but this Audi was far from perfect and hasn’t left me wanting to stay brand loyal. Written by Dave Wilson. I’m a Project Engineer and Photographer who is passionate about cars and driving and enthusiastic about technology and engineering. I hold an advanced driving qualification, held a race licence and am police driver trained. 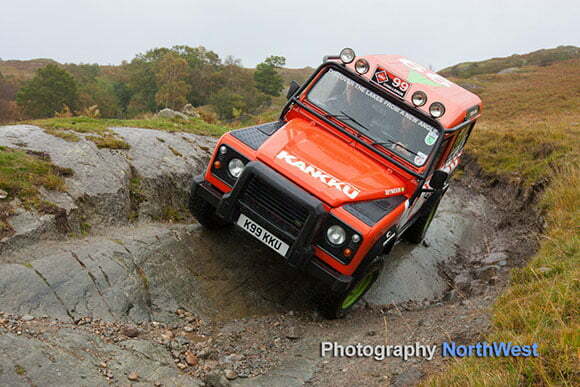 Kankku is an off-road driving experience company based in Windermere.